Startupbootcamp Has Arrived in Israel! Paul-Rene Albertini and Shahar Namer have been working tirelessly to set up Startupbootcamp Israel. 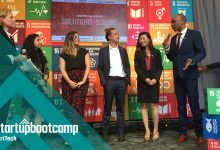 Now their work pays of as Startupbootcamp is proud to announce that the acclaimed programme will open for applications in Israel this August. Startupbootcamp Israel will add new dimensions to the tech startup ecosystem in Haifa and we are excited to see what great startups will emerge from the city. Haifa, 20, August 2012 – Startupbootcamp.org, the pan-European start-up accelerator, announces its expansion to Israel. The northern Israeli city of Haifa will host a three-month accelerator programme from December 10, 2012 to March 13, 2013. Startups can apply now at Startupbootcamp Israel. Startupbootcamp runs highly selective mentorship-driven accelerator programmes for tech start-ups that typically last three months. 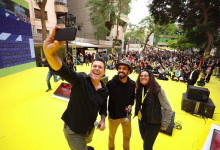 Haifa is the latest tech cluster to feature as a Startupbootcamp destination, which currently includes Amsterdam, Berlin, Dublin and Copenhagen. Selected teams in Haifa will be offered seed funding of €15,000, co-working space, software suites and access to over 80 mentors including serial entrepreneurs, investors and corporate managers. The programme concludes with an Investor Demo Day where teams present their companies and products to some of Europe’s most active business angel investors and venture capitalists. Israel’s technology sector is well established. It features the highest percentage of engineers per capita alongside world-class companies with impressive track records developing innovative tech products for both consumers and enterprise. This includes technologies & products in common use today such as firewalls, anti-virus, zip compression, instant messaging, VoIP and the mobile phone to name a few. In Haifa the programme is headed by Paul-Rene Albertini and Shahar Namer, founders of Startupbootcamp Israel. Paul-Rene is Chairman at Sushi Venture Partners, one of the main stakeholders of Startupbootcamp Israel. Sushi Venture Partners provides seed investments for companies and teams that focus on digital products and technologies. Startupbootcamp Israel plans to stimulate cross-pollination between Israeli and International start-ups. This is expected to foster a global network of start-up founders, mentors and investors in Israel. “There is an urgent need to fill a value creation gap locally by starting an accelerator programme. We believe that the international character of Startupbootcamp will help us attract investors’ eyes to the innovative Israeli start-up environment,” says Paul-René Albertini. Startupbootcamp (or “SBC”) is a startup accelerator with a mentor and alumni network from 30+ countries across the globe. The acceleration program offers startups a chance to get intense exposure over the course of 3 months to industry experts who are available as mentors to startups as needed. Bundled with seed investment, free co-working space and plenty of sponsor deals, startups typically boast years of results in 3 short months. At the end of the program, startups present at Investor Demo Day and over 50% have gone on to receive additional funding. The program currently runs quarterly during the year in Copenhagen, Berlin, Amsterdam and Dublin and only selects 10 startups to fund each cycle.